Our multifaceted product SleepCarrier, Najell’s invention and the product which the whole company started with, can be used in a variety of ways. Among other things, it can be used as a baby nest. We write about just baby nests in a series of posts. This is part 3. The previous posts are found here and here. SleepCarrier does not look like most other baby items available on the market because it also has other uses. And that is what makes SleepCarrier so competitive and above all safer than its competitors. SleepCarrier’s sides are higher than those on a regular baby nest. This makes it virtually impossible for an adult to roll over them in sleep. The tall sides are composed of Airmesh, a unique material that children can breathe through. The SleepCarrier mattress is comfortable but it’s not super-soft but instead sturdy, which makes it impossible for the child to bury their face in the fabric. The product is developed and tested in collaboration with the Australian sleep safety expert Dr. Ron Somers. 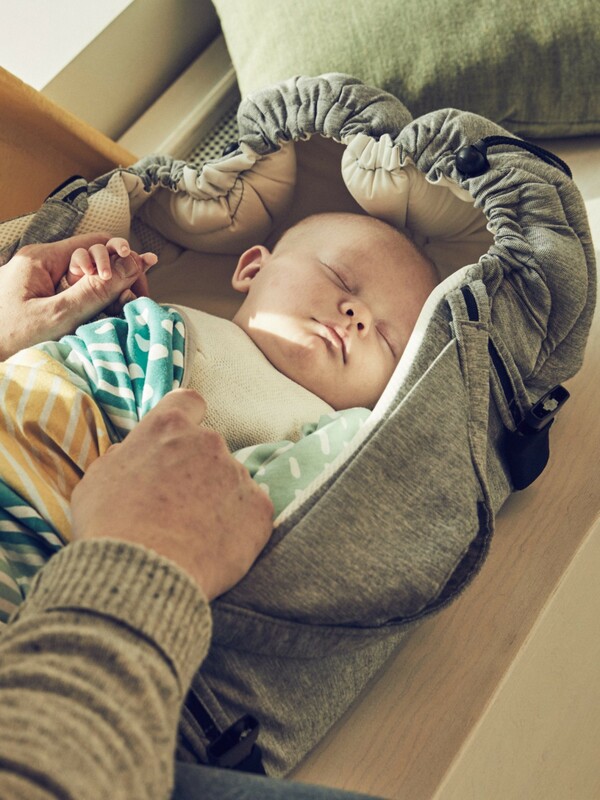 SleepCarrier is safety tested according to the standard for soft lifts and “Moses baskets” and meets the EU safety standard (EN 1466).